Summertime brings with it such a beautiful vibrancy. 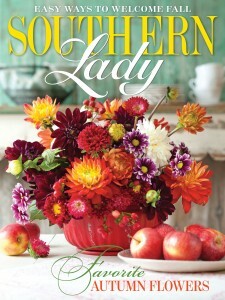 When I think summer, I think sunshine and the bright colors of the outdoors. What better way to bring the colors of summer to life than a party? No matter what the occasion of your gathering is, let the energy of summer inspire a lively palate of color. For the pictured party, the hostess used a rainbow of colors to create a cheery tablescape. 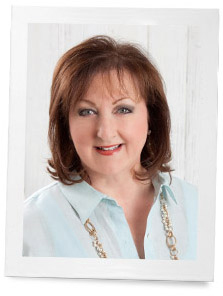 Basic pieces of various colors can be mixed and matched to give them a new look. Candles, flowers, and placemats are just a few of the ways that colorful accents were used on this table. The hostess alternated between purple and green glasses to further create a contrast in color. These neutral chairs were brought to life once colorful fabrics were tied around them. Tassels were tied onto the fabrics to finish off the look. This is a simple and effective way to bring pops of color. Let the colorful theme extend to the menu as well. Cool off with lemonade and sweet tea. Take advantage of summer’s bounty of fresh fruits and vegetables to create salads, salsas, and other dishes full of bright flavors. Satisfy your sweet tooth with fruit pies and homemade ice cream. There are so many fun and colorful ways to entertain in the summertime. No matter what route you take with decorations or food, let time with loved ones be what truly colors your summer. 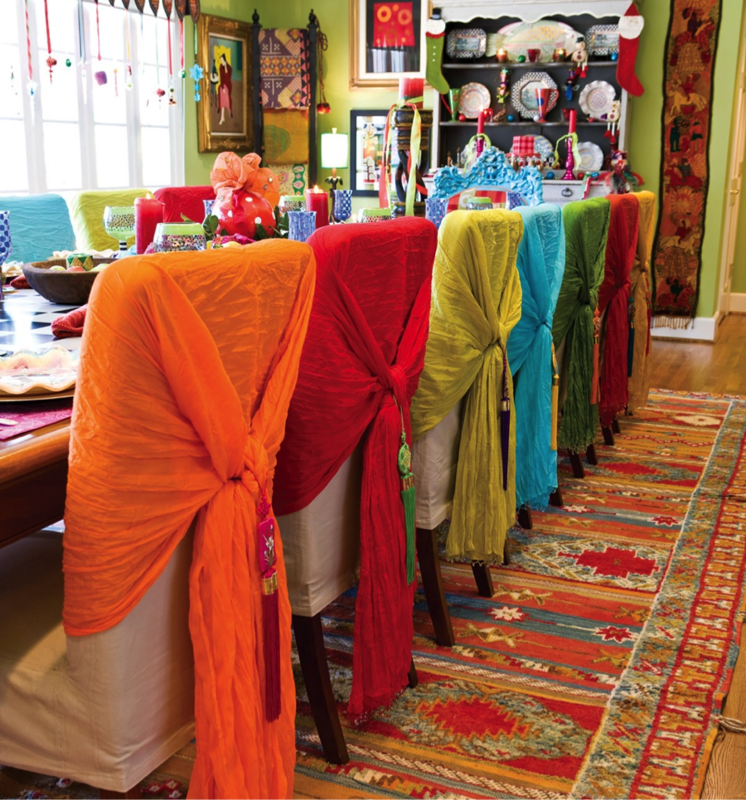 What are your favorite ways to entertain with color? Love this table setting. Nothing like beautiful colors to brighten the day!! 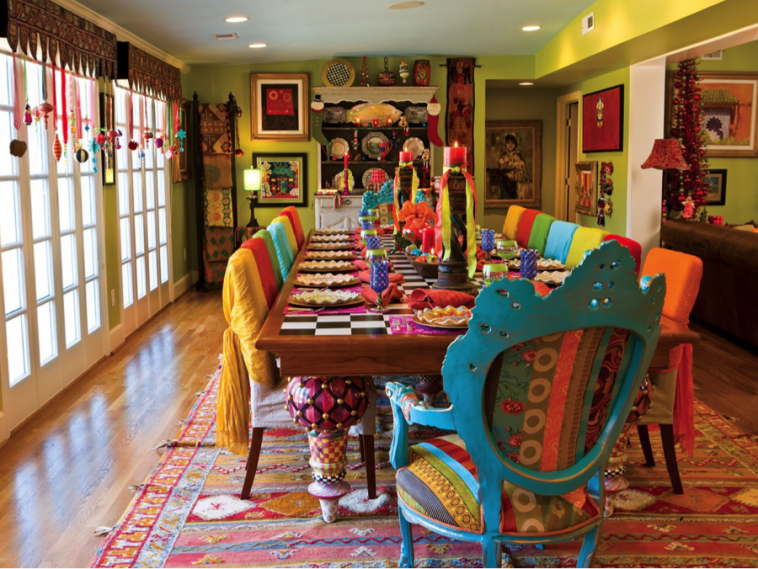 Love, love, love color…..what a fabulous setting!…….It just sings let the party begin…..don’t tell the owner, but I would kill for that rug!!….. and how fun are the chair covers!! Thanks for some fun summer ideas! We just need to add a piñata?? and let the games began!!!! beautiful, bright and fun looking. Those are such vivacious colors. Really pretty. And they are perfectly chosen to bring out the most in the carpet. Sounds like a lovely party!